Home » »Unlabelled » 11:11 Is It Happening To You ? 11:11 Is It Happening To You ? Imagine waking up at exactly the same moment night after night for years and seeing the same time appear on the alarm clock beside your bed. For those who experience this strange occurrence, their first thoughts might be that it was random chance, or simply the product of an overactive imagination. But is it? Is there perhaps a hidden message that is encoded within these mysterious events? It is most assuredly not their imagination causing them to awaken at exactly 11:11pm each night, or to see “11:11” appear on digital readouts, watch faces, billboards, signs, and even calculators. The time prompt phenomenon is real and it is happening to people all over the world. Some believe the time prompts, which do not always have to occur at 11:11, may be a type of “wake up call” from a source of higher intelligence. Perhaps these entities are eager to alert our attention to both personal and collective changes we are soon to deal with. Others report experiencing paranormal or spiritual events during these time prompts. Some have even claimed to see their guardian angels, or encounter aliens and ghosts! Others still report nothing but an annoyance that a particular series of numbers seems to haunt and taunt them as they go about their daily lives. “I wake up every night at the same time, sometimes 11:11pm, sometimes 1:11am, 2:22am, 3:33am,” a geophysicist told us. When asked if anything unusual occurred, he said no, but that the very circumstances intrigued him. Was the brain triggering this nightly occurrence, or was there an outside, external source causing the influence? Others report the exact same circumstances, even down to looking at clocks throughout the day and noticing the time to be 11:11a.m., 1:11p.m., and on and on. Each time they looked, they became “aware” of the synchronistic pattern, but did not really understand what was behind it. Is it sheer coincidence? Is the brain itself acting as an inner alarm clock, or prompt? Another individual named Cinde, had much to say about these prompts. First of all, I try very hard NOT to follow man’s time. To me, clocks and the structure of time were created by man to control man, and I simply do not want to be controlled by anyone. I do have to follow it for work, however. The rest of the time, I try to simply go by natural time. No clock required. I work 2nd shift. So I’m up pretty late. And because of this stupid phenomenon, I don’t sleep well at night. I tend to wake up at 11:11pm (on my night’s off), followed by 1:11am. Sometimes, but not always, it will continue with 2:22, 3:33, etc. But that is rare. As a result of not sleeping well, I tend to snooze in the mornings, relaxing, cat napping, and watching TV until I FEEL it’s time to get up. When do I get this “feeling”? 11:11am. I’ll get up, do what I have to do, and hang around until it’s time to get ready for work. I have an alarm set for 1:30, since I have to leave by 2. But it never fails, I will look at the clock early, and it’s usually 1:11. Over at AngelScribe.com, readers post their stories of encounters with invisible angels at such times as 11:11, 2:22, and on. It seems that the more people we had an opportunity to speak with while writing our book, the more we came to realise that these stories all seem to share common, recurring traits. Is there a scientifically objective reason why the time prompt phenomenon seems so incredibly common? From a statistical standpoint, it would seem patently obvious that there was some type of connective correlation. But what? And equally as important, why? Perhaps, the truth combines elements of all these explanations. But it’s not just the number 11 that is showing up in people’s lives – often accompanied by unusual events or profound insights. Sometimes it’s 2:22, 3:33, 4:44 or any combination of digits that sparks a pattern and shakes us out of our complacent view of the world as random and chaotic. 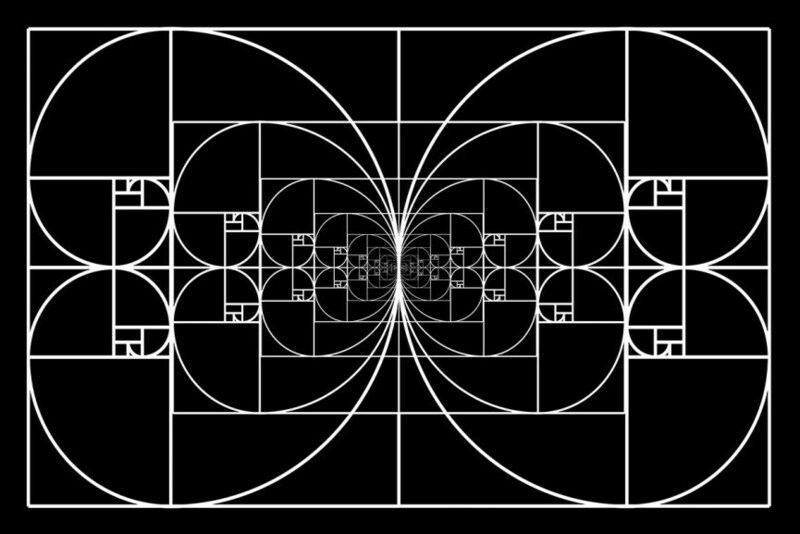 Throughout the history of human experience, mysterious numbers and strange sequences appear. Even in nature we find numbers, often grouped into sequences and patterns that seem to form an underlying structure to all of reality – both the seen and unseen. 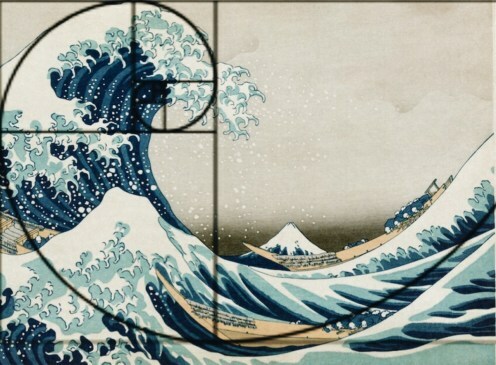 Two of the most stunning examples are the Golden Ratio and the Fibonacci Spiral, both of which imply a higher order of measurement behind what many of us take for granted, like the proportion of our own bodies, or the layout of petals on a flower. Referred to as “phi,” this ratio is present in many sacred icons such as the measurements of the Great Pyramid of Giza, the structure of a five-pointed star, a Pentagram (a sacred object to followers of Plato and Pythagoras) and even in the outline of the Acropolis near Athens, Greece (which takes the shape of a Golden Rectangle.) Most notably, as represented by Leonardo Da Vinci’s famous Vitruvian Man, the golden ratio is present in the structure of the human body, with outstretched arms and legs showing the Golden Ratio at work. Sacred geometry is the realm of the divine nature of numbers, suggesting that the great churches, temples and megalithic structures and monuments that mark the earth follow a pattern based upon heavenly properties and resonances. Harmonics and music actually form the foundation of many of the accepted mathematical laws. Even within the field of sacred geometry, the basics of musical theory provide a structure from which the divine and the human find common ground. One such example is the famous Rosslyn Chapel with its remarkable display of sacred geometry and the use of symbol, harmonics and numbers to convey a sense of otherworldliness, and a divine connection. Rosslyn Chapel is a 15th century chapel designed by William Sinclair of the St. Clair family of Scottish nobles descended from the Norman knights, and some claim, linked to the Knights Templar. Originally known as the Collegiate Chapel of St. Matthew, Rosslyn has gained notoriety from the recent best-selling book and movie The Da Vinci Code by Dan Brown, which served to further inextricably link it to the legend of the Holy Grail. Many historians and esotericists even insist the Grail legend itself ends at Rosslyn, where ensconced deep within its walls may lie a secret that only music itself can unlock. Father Richard Augustine Hay was the principle authority of the Chapel and St. Clair Family. He wrote that Rosslyn was unlike any other house of God’s service, and that it was a “most curious work, that which it might be done with greater glory and splendour.” Sir William is said to have engaged the services of the best masons and workmen available in Europe at the time to build this magnificent structure. Hay and other Rosslyn researchers suggest that the west wall of the Chapel was intended by design to be a model of Jerusalem’s Wailing Wall. In addition, in 2005, mystical symbols carved into the stone ceiling were reportedly discovered which appear to be a musical score hidden in 213 cubes in the ceiling. The cubes, when combined, formed a series of patterns that resulted in a one-hour musical accompaniment for 13 medieval prayers! Many scholars insist that these musical tones and corresponding patterns on the ceiling cubes are far more than mere coincidence, and that one day we may be able to unlock a medieval secret by repeatedly playing the proper frequencies. While some have attempted, so far the musical mystery remains just that. Even the Universe itself can be described in both harmonic and mathematical terms. In fact, some scientists and mathematicians believe that our Universe is comprised of six discrete numbers, and that these numbers are so precisely tuned as to suggest the presence of a higher intelligence at work. Call it the “Universal Symphony” if you will. In his book Just Six Numbers, Sir Martin Rees, the Royal Society Research Professor at Cambridge University and Astronomer Royal, makes a bold case for explaining how these six fundamental numbers can explain the entirety of the physical cosmos. These numbers, “constant values that describe and define everything from the way atoms are held together to the amount of matter in our universe,” were somehow imprinted during the Big Bang itself and began a process of cosmic evolution that allowed for the creation of stars and galaxies, as well as all of the necessary energy states that govern matter and force as we know it. 1,000,000,000,000,000,000,000,000,000,000,000,000. This is a ratio of the strength of electrical forces holding atoms together, divided by the force of gravity (which is 10 to the 37th power) between them. If this number were smaller, even by a few zeros, it has been posited that the Universe’s lifespan would be too short for biological evolution to occur. As Rees states, a short-lived universe would mean that no creatures could ever grow larger than insects, with no time for biological evolution to unfold. Thus, a buggy world indeed. Epsilon – 0.007 – Another ratio, this time the proportion of energy released when hydrogen fuses into helium. This number defines how firmly atomic nuclei bind together and how all of the atoms on Earth were made. The value of epsilon controls the power from the Sun and how stars transmute hydrogen into all the atoms of the periodic table. Carbon and oxygen are common, and gold and uranium are rare, because of what happens in the stars. Were this number 0.006, or 0.008, Rees states that we could not possibly exist, again suggesting that the minutest tweaks would have resulted in a universe far different than this one. Omega – The cosmic number 1 or omega measures the amount of material in our Universe – galaxies, diffuse gas, and ‘dark matter’. 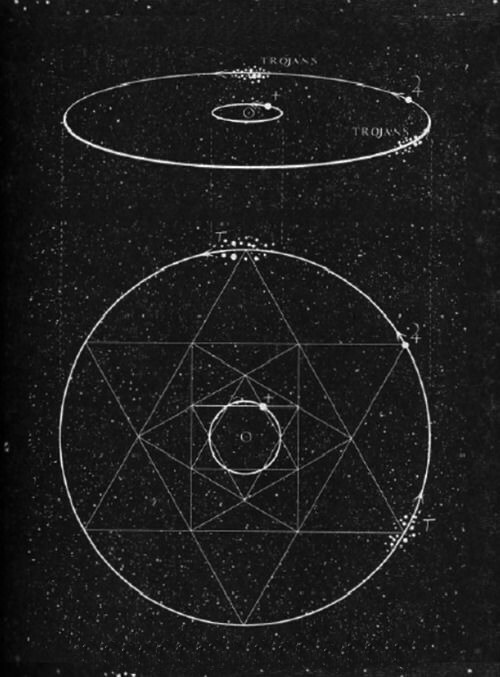 Omega refers to the relative importance of gravity and expansion energy in the Universe. According to Rees, a universe with too high of an Omega level would have collapsed long ago; too low, no galaxies would have formed. The inflationary theory of the Big Bang says omega should be one, but astronomers have yet to measure its exact value. Some scientists point to the finely-tuned initial speed of expansion as a hint of Creative Intelligence. Q = 1/100,000 – The basic seeds for all cosmic structures such as stars, galaxies and clusters of galaxies, all of which were imprinted in the Big Bang itself. The fabric – or texture – of our Universe depends on a number that represents the ratio of two fundamental energies. If Q were smaller, the Universe would be inert and without structure; if Q were much larger, the Universe would be a violent place where no stars or suns could exist, dominated by giant black holes. These six numbers allow for the absolute “rightness” of the universe that we live in, a rightness that in turn allowed for all the perfect chemical and physical combinations, events and interactions to lead to the creation of stars, galaxies and planets. English astronomer James Jeans said, “The universe appears to have been designed by a pure mathematician.” The laws that govern motion, gravitation, force and matter are all, at their foundation, mathematical laws that give order to nature and form the bedrock of all physical reality. The word “astronomy” itself means “law of the stars,” and those laws have their basis in mathematics. While many consider the mix of science and spirituality to be tantamount to oil and water combining, there are some spiritually leaning scientists who look to this fine-tuning of our Universe as an indication of an intelligent force behind all of creation. Is it beyond the realm of possibility that God may be a number? Though no scholar has yet come up with the perfect divine equation, it is still quite evident that the mark of a master Mathematician with deep respect for numbers is behind what we perceive as our reality. The “God numeral,” according to physicist Scott Funkhouser, could be an unimaginably big number, say 10^122, or 10 times itself 122 times. This number seems to show up in some very critical cosmic instances, appearing first in the late 1990s when scientists began researching the presence of dark energy. This energy is believed to be behind the accelerating rate of expansion we see in our universe. This same number, albeit with a give or take of a factor of ten, appears in other important ratios, such as the ratio of mass of the observable Universe to that of the smallest “quantum” of mass, which is 6×10^121. In the current Universe, one of the measurements of entropy that determines the many ways in which particles can be spatially arranged is 2.5×10^122. On a more microcosmic level, our personal lives mirror this same fundamental truth. We live according to numbers. Whether we ascribe to the beliefs of astrology, which tells us about our character traits through the positioning of stars at the times of our births, or we are the result of DNA and its own numeric structural forms, numbers own us. Regardless, we seek to find meaning and understanding in them when they appear over and over again in our lives. There are those who even believe that numbers have the power to shape our lives, our relationships, and our destinies. Numerology consists of a number of systems, traditions or beliefs that posit a mystical or esoteric relationship between numbers and physical objects. Numerology and numerological divination were popular among early mathematicians such as Pythagoras, but are now regarded as pseudo mathematics by most modern scientists. According to accepted scientific tenets, it would not be entirely accurate to call numerology a science. Rather, it can best be described as a belief system founded on the concept that the “number behind a name” can literally dictate a person’s destiny, future, and fortune. Like astrology, numerology is based upon the idea that everything, even the names we were given by our parents at birth, has a profound meaning and purpose in the realisation and unfoldment of our individual paths. From the jobs we choose to the places we live, to the mates we give our hearts to, people throughout the centuries have studied their astrological and numerological charts and signs in hopes of gleaning prescient information and patterns which might enable them to make better informed life choices. Many studies support the brain’s ability to not only construct patterns based upon evident information, but additionally, to assign a time upon them. 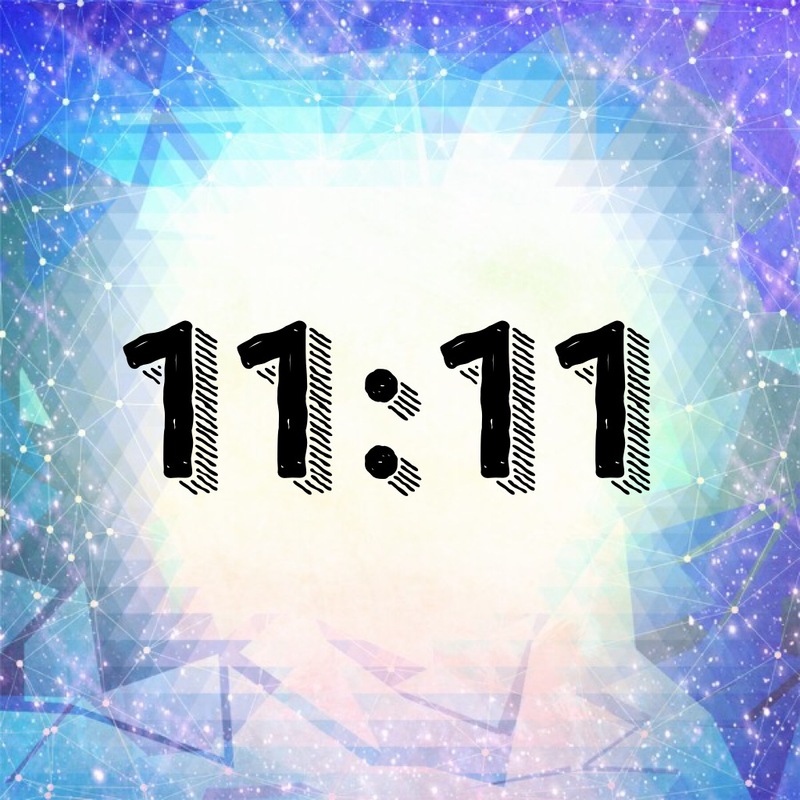 To wake up once at “11:11” would mean little… but if the brain makes a neural connection after waking up twice at that specific time, that connection would then become an embedded time code that will continue to manifest, becoming a learned response. If indeed the brain can tell time, and if the brain engages in the matrixing of meaning in an attempt to discern a pattern, how can we then know whether a time prompt is just a time prompt, a sheer coincidental event dictated by the Law of Truly Large Numbers or something more miraculous? Remember, according to that law, when there is a large enough sample of people or subjects, pretty much anything can happen. Perhaps we will find out on a numerologically significant date, when our collective “junk DNA” may be triggered, sending us to a new level of conscious awareness. Maybe we will find out individually, as the meaning behind the math sinks in through our experience as we find ourselves guided by a higher source along our path. Either way, one thing is certain – we will know what the sages and scholars knew before us. This post was republished from New Dawn Magazine. You can find the original post here.